To compare diagnostic performance of a 5-min knee MRI protocol to that of a standard knee MRI. One hundred 3 T (100 patients, mean 38.8 years) and 50 1.5 T (46 patients, mean 46.4 years) MRIs, consisting of 5 fast, 2D multi-planar fast-spin-echo (FSE) sequences and five standard multiplanar FSE sequences, from two academic centers (1/2015–1/2016), were retrospectively reviewed by four musculoskeletal radiologists. Agreement between fast and standard (interprotocol agreement) and between standard (intraprotocol agreement) readings for meniscal, ligamentous, chondral, and bone pathology was compared for interchangeability. Frequency of major findings, sensitivity, and specificity was also tested for each protocol. Interprotocol agreement using fast MRI was similar to intraprotocol agreement with standard MRI (83.0–99.5%), with no excess disagreement (≤ 1.2; 95% CI, −4.2 to 3.8%), across all structures. Frequency of major findings (1.1–22.4% across structures) on fast and standard MRI was not significantly different (p ≥ 0.215), except more ACL tears on fast MRI (p = 0.021) and more cartilage defects on standard MRI (p < 0.001). Sensitivities (59–100%) and specificities (73–99%) of fast and standard MRI were not significantly different for meniscal and ligament tears (95% CI for difference, −0.08–0.08). For cartilage defects, fast MRI was slightly less sensitive (95% CI for difference, −0.125 to −0.01) but slightly more specific (95% CI for difference, 0.01–0.5) than standard MRI. A fast 5-min MRI protocol is interchangeable with and has similar accuracy to a standard knee MRI for evaluating internal derangement of the knee. N.O: Siemens AG Research Consultant, Elucid Bioimaging Inc. (unrelated, no conflict for this research study), SG: Federal Grant, Agency for Healthcare Research and Quality (unrelated, no conflict for this research study), NS: Research Grant, Siemens AG (unrelated, no conflict for this research study). The remainder of the authors have no conflict of interest to disclose. 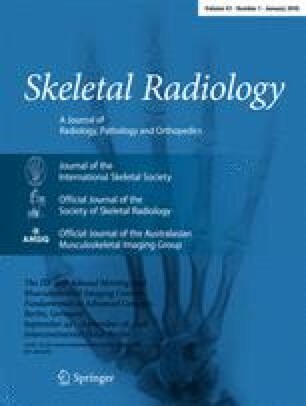 Kijowski R, Rosas H, Samsonov A, King K, Peters R, Liu F. Knee imaging: rapid three-dimensional fast spin-echo using compressed sensing. J Magn Reson Imaging. 2017;45:1712–22. https://doi.org/10.1002/jmri.25507.